Poised on the eve of Adelaide’s Fridge festival which is celebrating an incredible 59th year, I want to send out a big cheer to the incredible value that cultural and sporting bring to the Australian economy. The Fringe Festival is a real success story. According to Tourism SA, in 2018 this event delivered a visitor increase in expenditure of 19.3% and a record $90.6 million dollars spent by happy festival goers and in allied industries. Many major events not only increase the profile of the host cities and regions that organise them, but they also drive world-class sporting and event facilities and improved infrastructure. Figures revealed in August last year for the newly built Sydney International Convention Centre Sydney (ICC) show that the new venue injected more than A$1.2 billion into the local community in the centres first two years of operation and welcomed two million visitors. Across the summer Queensland saw more than $80 million pumped into the States economy thanks to an all-star line-up of events. The list of events included the Australian PGA Championship, Woodford Folk Festival, Magic Millions Carnival and the Brisbane International. Events can also be the catalyst to accelerate much-needed urban regeneration, improving society and generating a development boost. Which in turn can increase a hometowns appeal as a tourism destination and a business location. A great example is cities which host the Olympics can be assured of ongoing increase in recognition and tourism. Barcelona, Sydney, Beijing and Rio which have all seen this from hosting the Olympics. When we look at the jobs and investment created before, during and after several years of planning and investment for a big event events, this equal ongoing jobs and dollars. On a lighter side, so many events also generate fun and excitement in their hometowns or cities. 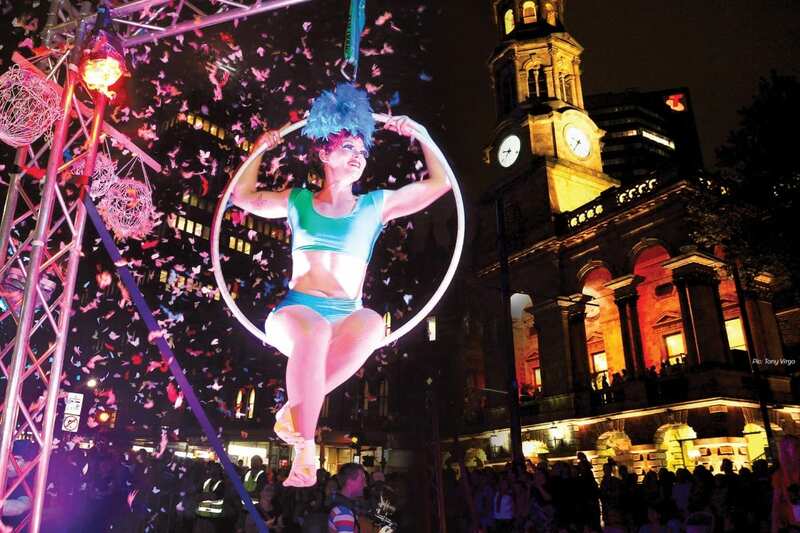 Every year when Mardi Gras rolls around Sydney, for so many, life gets a little more upbeat. Grand Final weeks for the AFL and NRL also seem to create passion a buzz and who doesn’t love Melbourne’s Spring Carnival. Sporting events can even help everyone to have a go in their own backyard, which has lasting benefits for the nation’s health. I love a good event! Bring on another terrific year for Aussie Events.